There are those battles that are not to end soon. Not even after getting Ndaga Muntu. 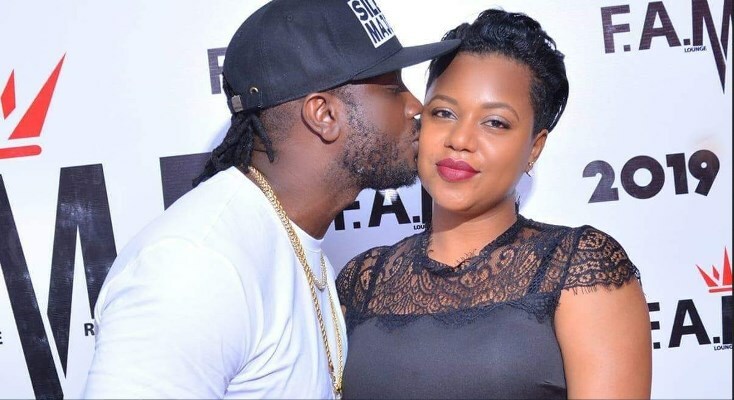 Defensive Bebe Cool through a social media post came to baby mama’s rescue of course after getting her another location. In his post, the gagamel boss revealed the new location with costs of Zue’s cakes. As if the advertisement was not enough, he used Bobi Wines’ failure to explain Fiscal policy to stretch his wife’s achievements from her confectionary. ‘Forgive me for being blunt, am here wondering if there is a club of stupidity that some people keep joining and am not surprised when they stammer when asked about GDP/Fiscal policy. I have over the years demonstrated that time and proper planning are fundamental keys to success. ‘For any business to thrive, you need to be able to manage your costs. It would be unwise for someone to opt for a splashy location that costs hundreds or even thousands of dollars in rent as opposed to finding an affordable but suitable location and giving it an ambiance that suits all. The later would certainly make more profits while the former would struggle to even break even. No wonder Zuena is able to park a 200 million shillings Mercedes Benz in front of a shop that costs only 300,000/= in rent to discuss business worth over 40 million shillings for decor per event, cakes ranging from a cost of 50,000/= to 20,000,000/= per cake. It is from here that she is able to take care of her family, pay school fees for her children in expensive schools and be able to afford holidays in America. Yet, the splashy alternative may be in rent arrears, unable to pay suppliers on time all because they want to keep up appearances. All in all, it is critical that one carries out a feasibility study ahead of starting any business bearing in mind that knowledge about the fiscal policy and GDP is equally important in making economic sense.’ Bebe Cool concluded.